On October 29, at the Mediterrani University School, we celebrated the V UNIVERSITY – EMPRENSA DAY of the Marketing Degree with five very special companies. 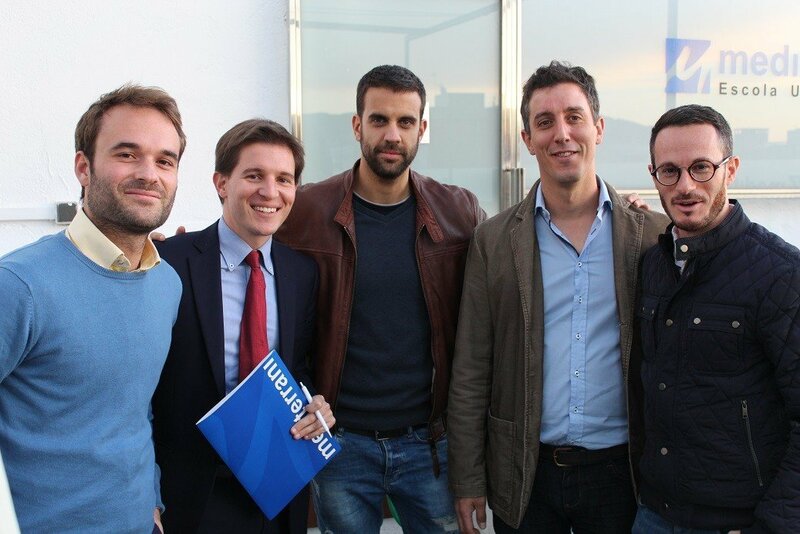 We have been visited by Marketing professionals such as Xavi Ramentol from DORNA SPORTS, Albert Ros from JIRADA Digital Agency, Ricardo Revaliente from INTERLOQUA, Oriol Ristol Espinosa from TICKETMASTER and Iván Pérez from CLINTU. All of them have shared with the students their knowledge, their day to day and their personal vision of where the current trends in the sector are going. It has been a real pleasure to listen to the strategies of five very different companies that have so many things in common. From the Mediterrani University School, a center attached to the UdG, we take note of their advices in order to continue improving the quality of service. Their thoughts on; Spreadsheets, strategy, data analysis, retargeting, video marketing, audio logos, Social Media Ads … are just some of the trends that summarize the reality of the sector in which we live.